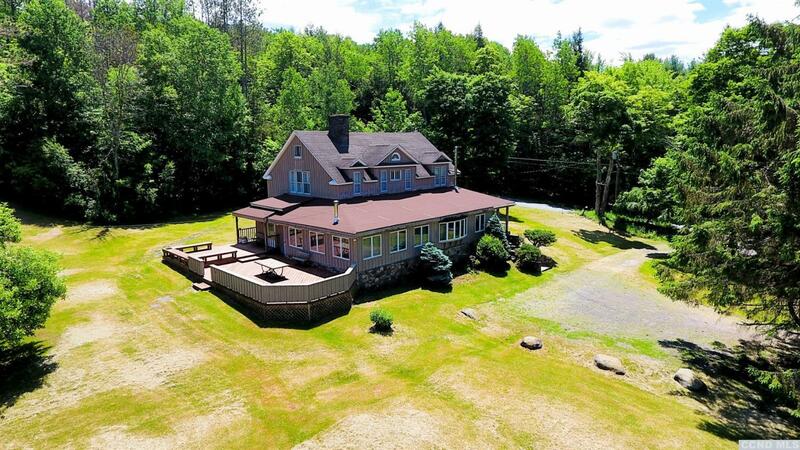 A Big & Beautiful 6 Bedroom, 4 Bath Home with a Pond and a Tennis Court on 20 acres! The home has approximately 4, 388 sq ft, 6 bedrooms, 4 bathrooms, a living room with a stone fireplace, a formal dining room, a sun room or family room, a sitting or reading room, a galley style kitchen, a large foyer, a mudroom and laundry area, a walk-up attic, & more. There's a large outdoor deck for entertaining, plenty of open yard space, a large pond, & a tennis court. There's a beautiful country landscape-see our aerial pictures on the listing. This home could be for a large family or multiple families, an Airbnb, or a Bed & Breakfast. It's just minutes to Windham Ski Mountain. An Amazing Home with Great Possibilities!